Terengganu (UMT) to promote awareness and research on conservation of marine ecosystem and environmental sustainability. TO mark the collaboration both parties signed a Letter of Intent (LOI) to foster programmes of academic and scholarly exchanges for the purpose of exploring the establishment of a long-term mutually beneficial association between RHB Islamic and UMT. UMT is one of the universities in the country which emphasises studies on the ocean, maritime and marine environment. 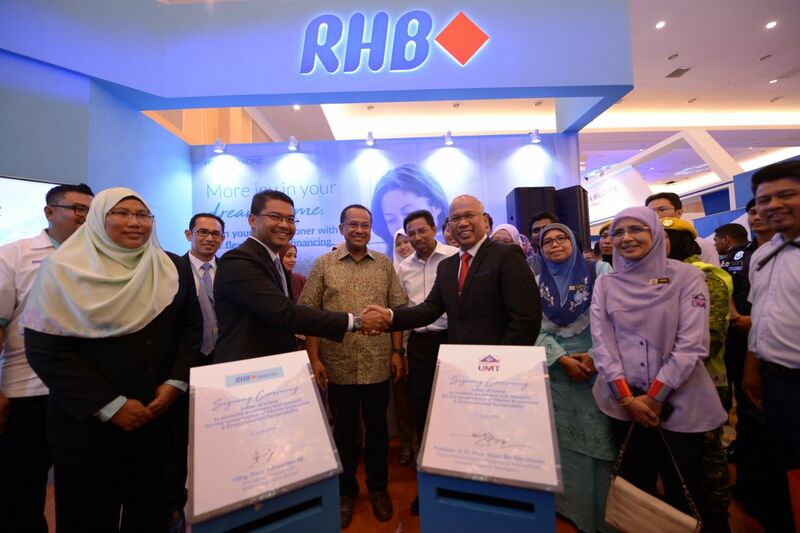 This is part of RHB Islamic’s efforts to generate positive and sustainable impact for the economy, community and the environment consistent with RHB Islamic’s commitment to adopt Value Based Intermediation (VBI) in its business and operations. “We aim to contribute towards conservation of marine ecosystem and environmental sustainability, in line with RHB banking Group’s Sustainability Vision towards ‘Building A Sustainable Future’, which will support the United Nation’s Sustainable Development Goals (UN SDGs). Our strategic collaboration with UMT allows us to play the role of a catalyst for environmental change and sustainability which will resonate well with the younger generation. We believe that this is a noble and worthwhile effort that reinforces our commitment to the global goals while achieving local impact. and CEO, RHB Islamic Bank Berhad.